Patients can expect health care professionals to give them the sensible and proficient level of health care. The law strictly imposes a responsible duty on medical professionals to do it so. Medical providers, like nursing homes and hospitals, are held to a high standard of medical care for individuals. These standards are in place to protect patients from becoming victims of negligence, and enable them to sue in instances of medical malpractice. Medical malpractice occurs when a medical practitioner fails to meet the legal standards of care in their field, and that failure causes harm to their patient. Malpractice is often grounds for a personal injury legal case. Damages in a malpractice suit can include reduced quality of life, pain and suffering and the cost of medical bills. For a plaintiff to establish that malpractice occurred, and recover for damages, they must prove all of four legal elements: Duty of Care, Breach of Duty, Causation and Damages. Medical malpractice suits are complex and demanding cases. If you think you’ve suffered from medical malpractice, consult a qualified attorney for advice. They will help you determine the strength of your case and how to move forward. 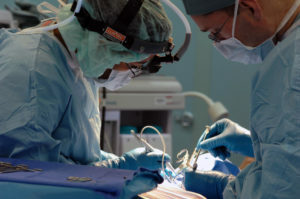 The law in medical malpractice offers a way for victims and patients to recover compensation from the harms resulted from a sub-standard treatment. The regulations and the standards for medical malpractice vary considerably from country-to-country.